Search engines are the computer programs that searches for a specified search term in its gathered database. Search engines helps you find what you are looking for. There are a number of search engines available but some of the famous and top search engines are Google, MSN, Yahoo, Altavista, AOL. Among these there are search engines that gives primary results such as: Google, yahoo and MSN and some give secondary results. In Todays world search engines are good options to find what you are searching. Search engine optimization (SEO) is a process of improving the quality of a website for search engines. It is used to get higher rank in search results and to optimize a website for search engine that follows different algorithms. Search Engine Optimization is also known as SEO. 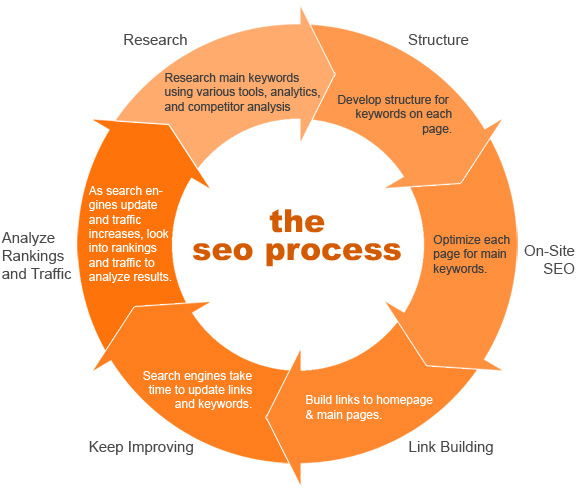 Generally SEO considers how search engine works and what users search for. Search Engine Optimization is often used to get a high and better ROI by getting good positions in search results. Today many development companies are providing SEO services for websites. We provide search engine optimization service with a assurence of getting good search engine placement for your site and higher rankings. A good search engine optimization consists of good onpage optmization, higher traffic and a better ROI. We transform the content in your web pages into a more effective medium in such a manner that it not only gets you top ranks in SERP but also attracts individual visitors. eSenso’s Search Engine Positioning Services are designed to optimize your website for the best search engine placement possible. This is done primarily by offering you the full-fledged service of a copywriter who lays special emphasis on analyzing and re-writing your web pages to give you an enviable position in the search engine result. Our copywriters at eSenso ensure that the content in your web pages is keyword rich and at the same time is a convincing and effective sales-driven composition. In case your site has insufficient content, our copywriters can help you add pages to your site. We conduct a keyword research for you and create fresh content for you that will be search engine optimized. So you need not worry about the ranking of your site, after new content is added. Optimize: After analyzing your site we move forward towards the optimization by following the search engine guidelines. We do keyword research first for the site based on the current user searches then we write the meta titles, meta description and the content for your site. We also optimize the linking structure for the website (internal and external linkages). We also run PPC campaigns to boost the rankings and traffic for your website. Develop: While working we do check the development part of your website. We take care about the cleaned code, W3C validation and that the site has used advanced technology so that visitors find it attractive while visiting. Our professional are experts in using flash, java and animation which helps your site looking good and attractive. Promote: After the completion of above 3 layers we move forward to the another layer which is promotion of website. We promote website through articles, directory submissions, blogs, link building and social networking. Our SEO are experts in social networking and social bookmarking. We develope a good network around some social networks such as: facebook, orkut etc. Through our promotion skills we build a good amount of traffic for your website. A website that has gone through these 4 layers will guaranteed get a good position in SERP’s. Once after following the process we won’t leave your site alone. We take the responsibility to maintain the site quality and rankings. Because our belief is that a quality website long lasts in search results. We do track the site traffic and positions through analytic tools such as: google analytic, quantcast, westats etc.